Max Griffin is a free agent after ending his four-fight UFC deal with a win over Mike Perry. 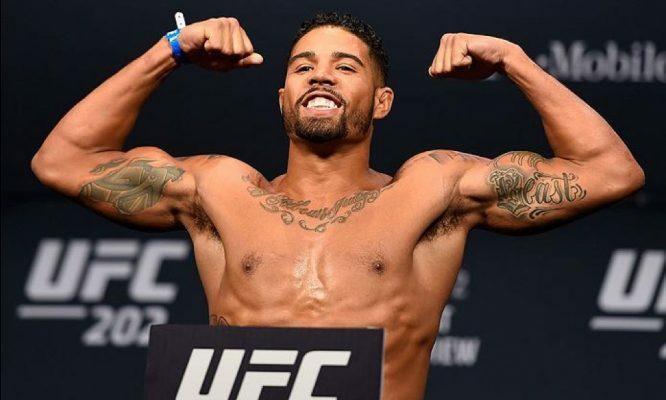 Very few fighters in the UFC these days will take the last fight on their contract without renegotiating a new deal, but that’s exactly what Max Griffin did ahead of his fight with Mike Perry in February. Griffin went on to win the fight via a unanimous decision, but here in late March, he’s still yet to sign a new deal with the promotion. Speaking on the Slip n’ Dip podcast this week, Griffin revealed the news that he’s a free agent. “That was it,” Griffin said. “I’m a free agent. I had a four-fight deal and we finished that up on a good win and with a little bit of momentum. “I wanna fight for the UFC and I wanna be the best, I wanna beat these guys. Griffin appears to want to remain with the UFC but is waiting on the right offer. Signing for Bellator appears to the last thing on his mind and is something that he’s previously let pass him by. “It’s about money, but I’m not just trying to run to Bellator,” he said. “I was going to sign with them before the UFC, but it didn’t work out, which was perfect. “I was supposed to meet with that Asian guy [Rich Chou] and I think they were in Europe, I want to say they were in England so the time change was weird and yeah that’s the only reason why that didn’t work out and the UFC happened.